The City of Dothan was the top rated of three communities selected to receive a $50,000 creative placemaking grants through Transportation for America’s Cultural Corridor Consortium program. These three new projects are made possible by a generous grant from the Kresge Foundation, which also supported the last two years of similar work with groups from Nashville, TN, San Diego, CA, and Portland, OR. And the three winners this year are no different, proposing creative solutions to address a diverse range of new transportation investments — a highway project, a bus rapid transit project, and a light rail project. We’re excited to support their efforts as they use arts and culture to produce better end products and processes that not only better serve their communities, but reflect their unique culture and heritage. Here’s a short summary of the three winners, drawn in part from information in their applications. Dothan, Alabama is a small southern city in lower Alabama (pop. ~68,000) with a retail and medical services hub-market serving over 600,000 that has fallen victim to the adverse impacts of years of sprawl and auto dependency. The vast majority of the area’s recent transportation funds have been utilized solely for roadway construction and expansion, often out at the fringe of this small city. 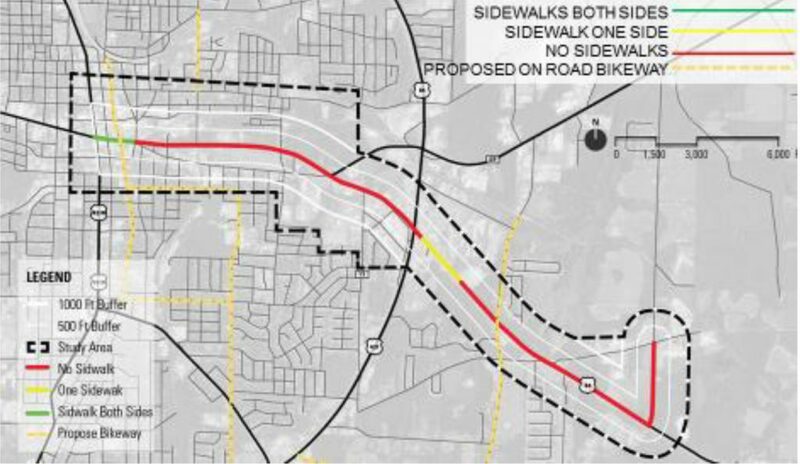 There is no mass transit service, the sidewalks — where they exist — are generally in poor condition, and there are no designated bicycle lanes within the City of Dothan. Within the historical core of Dothan, there are pockets of “extreme poverty” as defined by census tract data. Compounded by both struggling communities and auto dependency, those who walk or ride bicycles as a regular means of transportation face challenging and dangerous circumstances. Hyde Park, one of the oldest communities in Los Angeles, is a working-class neighborhood (median income: $39,600) with relatively low levels of college education and many single parent households in the heart of African American L.A. While the neighborhood today lacks connections to the city’s growing network of rail lines, that will soon change. 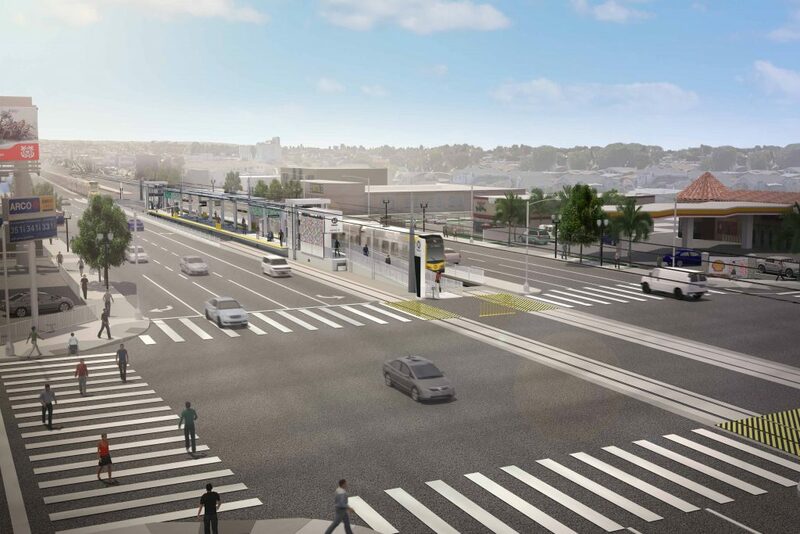 The Los Angeles County Metropolitan Transportation Authority’s (Metro) is hard at work on the new Crenshaw-LAX (C-LAX) transit corridor that will connect Hyde Park (and Crenshaw Boulevard) to the Los Angeles International Airport, scheduled to open in 2019. These direct connections to the airport and the rest of the city will provide Hyde Park residents with greater mobility, and employment and education opportunities. But in today’s climate where businesses and residents alike are clamoring to be in places that are well-connected to transit, real estate in close proximity to light rail will also become much more attractive to investors. The real estate market is bigger than any one neighborhood and it’s hard to address the potential negative effects of gentrification block by block, but it’s crucial for local groups to lead the conversations and engagement around this topic. Through this grant, a group known as LA Commons will implement a process of gathering stories, led by a team of artists and local youth, who will ultimately transform them into an artistic intervention with high local resonance. With Metro’s vision to create “transit-oriented communities” (TOCs), an approach to development focused on compact, walkable and bikeable places in a community context (rather than focusing on just a single development parcel), integrated with transit, it’s critical to foster a community-based response to such investment during early planning phases that aligns with and highlights the unique assets and identity of the area. Using arts and culture, LA Commons will be a part of crafting these transit oriented communities around the new station (TOCs). Indianapolis is hamstrung by an inadequate transit system that not only poorly serves those who depend on it, but makes talent retention and attraction a challenge for the region’s business community. According to a Brookings Institution report profiling transit in the U.S.’s top 100 metro areas, Indianapolis is the 14th largest city, yet boasts only the 83rd largest bus fleet, and t he majority of riders experience an average 60-minute wait time. Improving that service has been a top priority for Indianapolis’s business community and many of the city’s elected, civic and faith-based leaders, who recognize that investing in transportation options is vital both for connecting low-income workers to economic opportunity and for the competition for talented workers and new businesses. And their new transit expansion plan, paid for by voters through an income tax increase approved at the ballot last November, will deliver a 70 percent increase in frequency and extend hours of operation s, while also starting the buildout of an impressive bus rapid transit network to connect yet more neighborhoods and people to opportunity. As a coalition of businesses, organizations, and individuals whose collective-impact mission is to engage and educate around public transit, Transit Drives Indy, the winning applicant, aims to encourage, monitor, and facilitate the implementation of the new transit plan. Transit Drives Indy sees an enormous opportunity to create a new culture of public transit in Indianapolis. 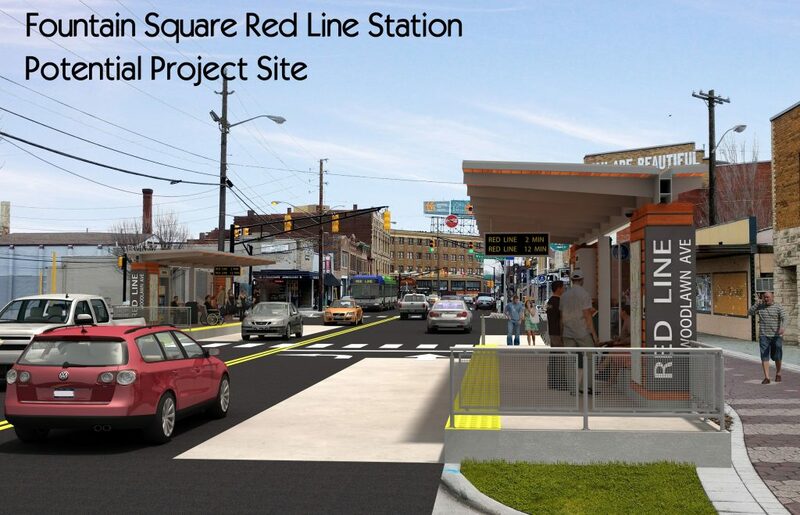 Their primary strategy with this grant is to activate artists, communities, and arts partners through a multi-year creative placemaking program that integrates the arts into the design and implementation of the Marion County Transit Plan, specifically the 2019 opening of the Red Line, the first of the three planned all-electric bus rapid transit corridors. We’re eager to get to work with these three communities and are looking forward to sharing stories of their progress. Stay tuned here at t4america.org to read more about them as their projects unfold over the coming year.